Address 269 Ag. Engineering Bldg. Veum is a Research Soil Scientist with the U.S. Department of Agriculture – Agricultural Research Service. Her soil health research focuses on the effects of agricultural management systems on soil function and provisioning of ecosystem services (e.g., water quality, carbon sequestration, crop productivity, nutrient cycling, and environmental protection). Current research focuses on assessment and development of biological, physical, and chemical indicators of soil health to quantify the environmental and agronomic benefits associated with conservation practices, and Veum has documented the soil health benefits of perennial vegetation, reduced soil disturbance, and increased rotation diversity at the plot and field scale. Veum is particularly interested in evaluation of methods for the assessment of microbiological community structure and function, such as soil enzyme activities, mineralizable N, and phospholipid fatty acid profiles. 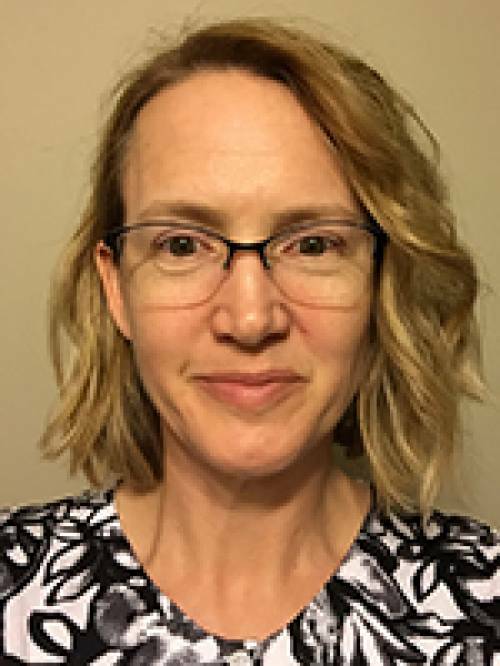 In addition, she studies proximal soil sensing and sensor data fusion technology for rapid, high-resolution estimation of soil properties, with an emphasis on soil spectroscopy in the mid-infrared (MIR) and visible, near-infrared (VNIR) regions. Veum co-founded the ASA Soil Health Community in 2014 and has served as a scientific advisor for the NSF/EPSCoR MODIRT Soil Health Survey, the Soil Health Partnership, and the Soil Health Institute. Veum, K.S., Sudduth, K.A., Kremer, R.J., and Kitchen, N.R. (2017) Sensor data fusion for soil health assessment. Geoderma, 305, 53-61. Karlen, D.L., Goeser, N.J., Veum, K.S., and Yost, M.A. (2017). On-farm soil health evaluations: Challenges and opportunities. Journal of Soil and Water Conservation, 72(2), 26A-31A. Veum, K.S., Kremer, R.J., Sudduth, K.A., Kitchen, N.R., Lerch, R.N., Baffaut, C., Stott, D.E., Karlen, D.L., Sadler, E.J. (2015) Conservation effects on soil quality indicators in the Missouri Salt River Basin. Journal of Soil and Water Conservation, 70: 232-246. Nordenholt, R.M., Goyne, K.W., Kremer, R.J., Lin C.H., Lerch R.N., Veum, K.S. (2015) Effect of veterinary antibiotics on atrazine degradation in soil. J. of Environ. Quality. 45: 565-575. Kremer, R.J., Veum, K.S. (2015) Soil Microbiota of the Prairie. Missouri Prairie Journal. 6 (3-4): 18-21. Veum, K.S., Sudduth, K.A., Kremer, R.J., Kitchen, N.R. (2014) Estimating a soil quality index with VNIR reflectance spectroscopy. Soil Science Society of America Journal, 79:637-649. Veum, K.S., Goyne, K.W., Kremer, R.J., Miles, R.J., Sudduth, K.A. (2014) Biological indicators of soil quality and soil organic matter characteristics in an agricultural management continuum.Biogeochemistry 117:81-99. Veum, K.S., Goyne, K.W., Kremer, R.J., Motavalli, P.P. (2012) Relationships among water stable aggregates and organic matter fractions under conservation management. Soil Science Society of America Journal 76:2143-2153.